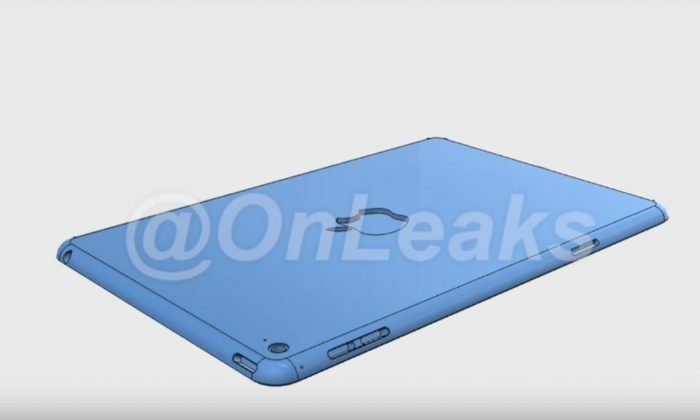 A reliable source for tech leaks shows what appears to be 3D CAD images for the iPad Mini 4, suggesting the Apple device will be as thin as the iPad Air 2. The Twitter feed @onleaks, considered to be a good source of leaks, posted the images, which show that the upcoming iPad Mini is 6.1mm thick–down from 7.5mm. Ming-Chi Kuo, an analyst with KGI Securities, has said the iPad Mini 4 will basically be smaller version of the iPad Air 2. The suggested specs on the device will feature the same 8MP rear-facing camera and a fully-laminated display with anti-glare coating, according to 9to5Mac. As MacWorld noted, may also have 2GB of RAM. It’s unclear if Apple wants to include Force Touch in its new iPads. Apple could be unveiling its next line of tablets as early as September. A report from BuzzFeed News last week indicated Apple is looking to hold its fall event on Sept. 9, which will mark the announcement of the the firm’s latest iPhone models and a redesigned Apple TV.